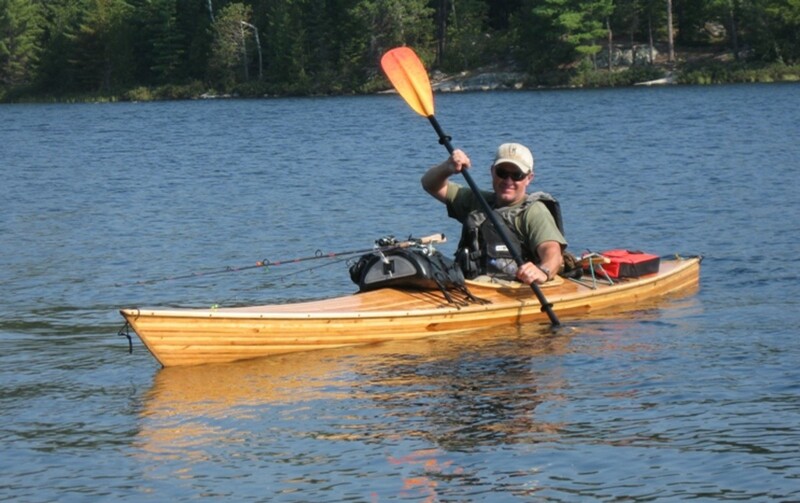 Having previously built two cedar strip canoes and one cedar strip kayak, I decided to start building another cedar strip kayak. My nephew who had moved in with me wanted to start the project, and I kind of had an itch to build another boat. 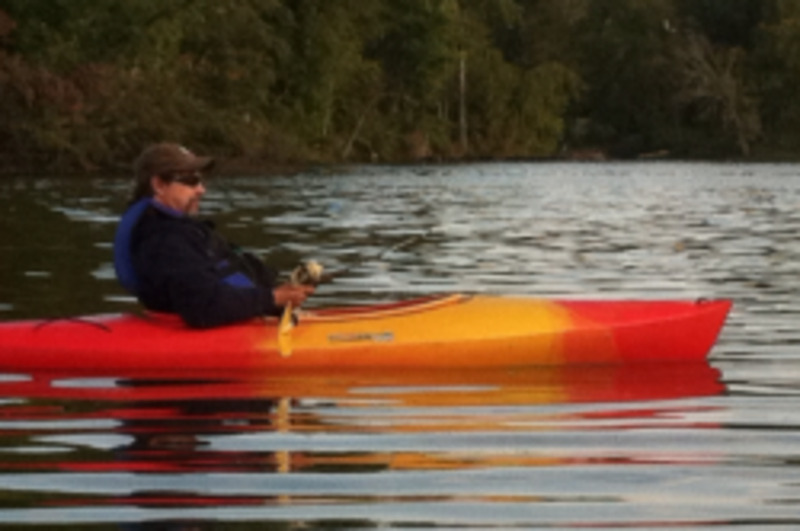 The first kayak I built is 16 -1/2 feet long with a 25-1/2 inch beam, a Bear Mountain design named Resolute. It weighs about 60 lbs. I chose this design to carry gear for camping/kayaking trips. 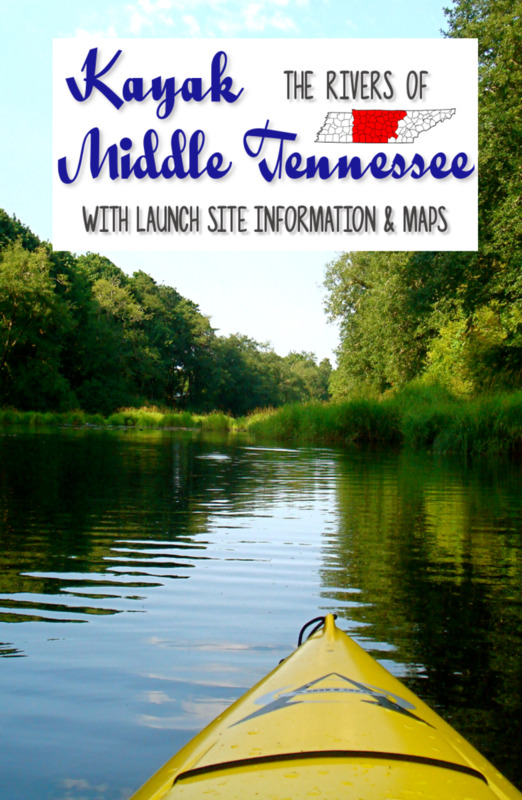 It is faster on the water than a canoe and is very stable. 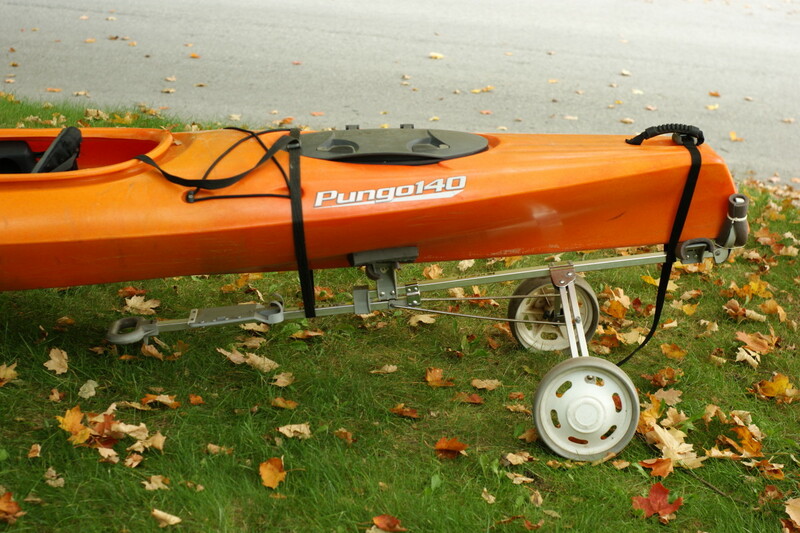 I thought my next kayak should be lighter and faster but still have some capacity to carry camping gear. I chose the Endeavour design from Bear Mountain. It is nearly 17 feet long and has a 23-1/2 inch beam. 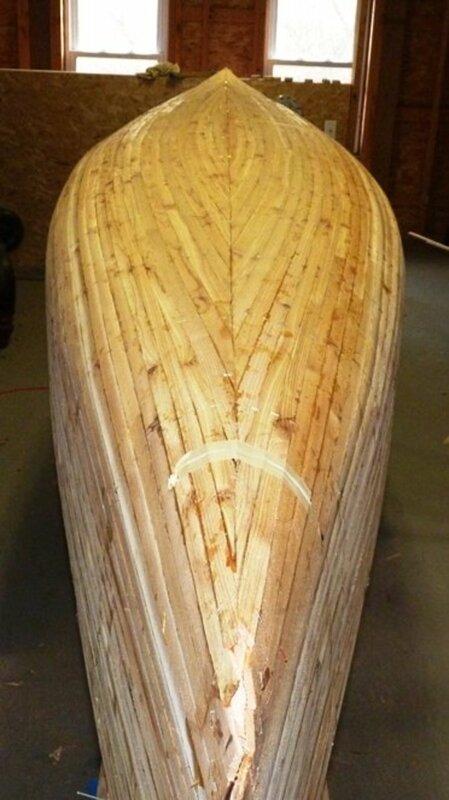 I made a deal with my nephew that I would purchase the materials and help him build it but we would share its use, and when I pass it on in older age, he would inherit the boat. 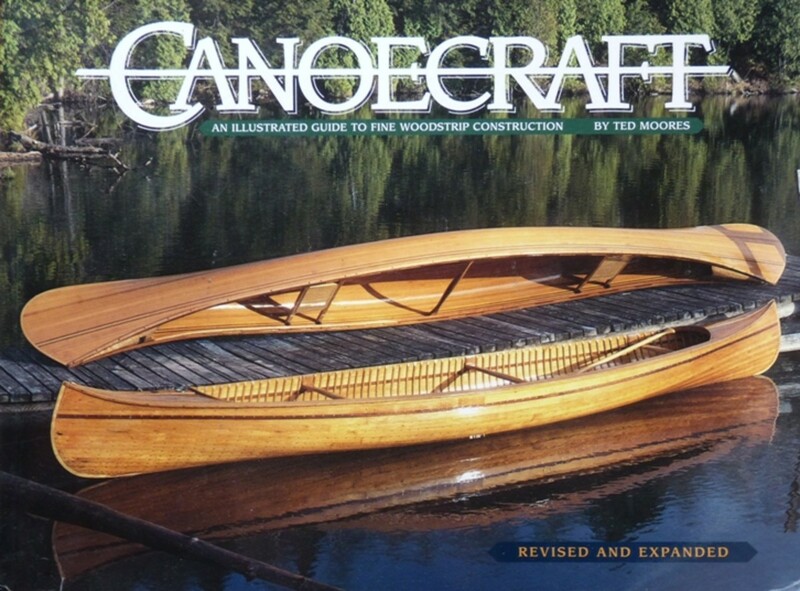 Now, I wanted to take the less expensive route this time, so I did some things to cut costs, like using left over strips from my last canoe build, building a simpler strong back perched on saw horses, using salvaged plywood for the forms, and lofting the plans myself from the table of offsets in Ted Moore's book Kayak Craft. I purchased a roll of brown package wrapping paper on which to draw the plans. 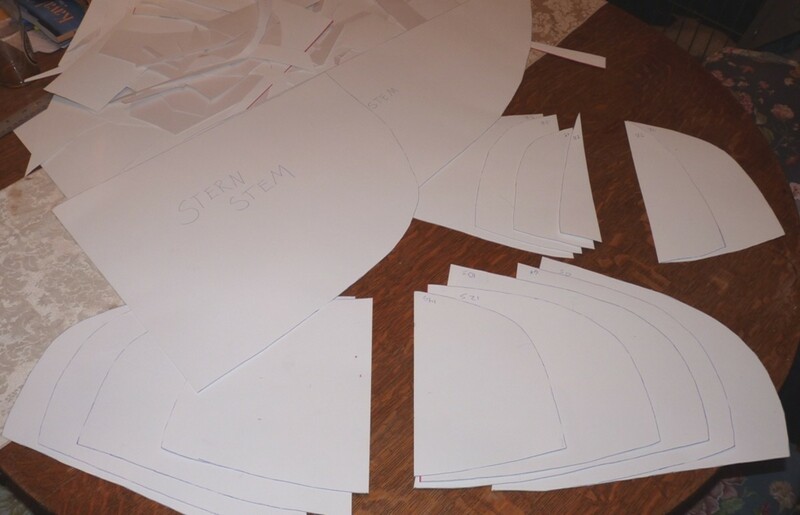 I chose to only draw half of the hull shape since the hull is symmetric about the vertical center lines. This saves time and helps reduce error when transferring lines from the table of offsets. 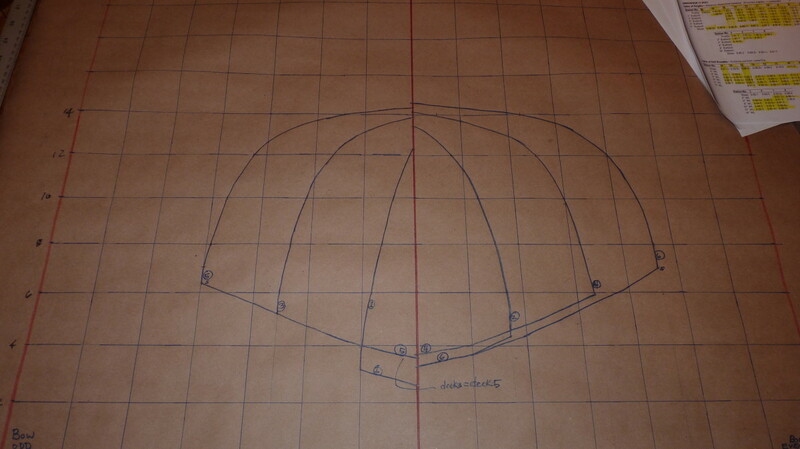 I drew the plans on three separate sheets: one for the form shapes from the center towards the stern, one for the shapes from the center towards the bow, and one for the stems. On each sheet the half-shapes for the even numbered forms were drawn on the right of the center line and the odd numbered forms were drawn on the left of the center line. From previous experience I found that the lines can get quite crowded and hard to discern one from another if all forms are drawn on one sheet and on one side of the center line. 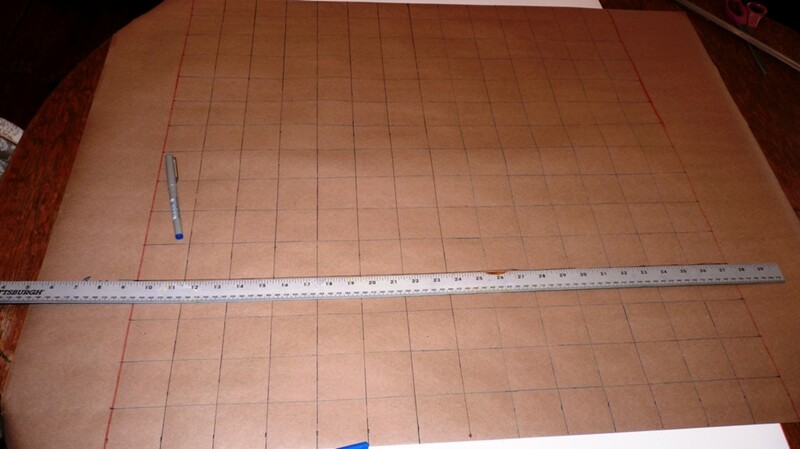 First, the blank sheets have a grid of horizontal and vertical lines drawn at 2 inch intervals. The horizontal lines, called water lines, extend up to about 14 in. from a baseline. The vertical lines, called buttocks, extend about 14 in. to the left and right of a center line. Mark a dot along each water line according to the dimensions in the table of offsets for each form. They do not always complete the shape of the form so do the same for the buttock lines. The profile for both the hull and deck are marked along the center line measured from the base line. The sheer is measured from the along a line perpendicular to the baseline drawn from the last widest point marked and measured up towards the point from the baseline. Once all the offsets for a form have been transferred, draw lines between the dots. 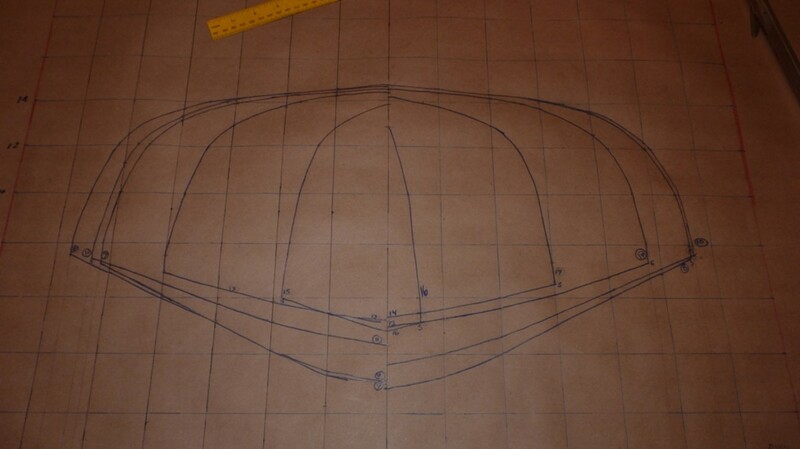 A straight edge can be used between most of the dots, but where the hull curves using a French curve can be helpful. Mark the form number on each line for later reference. 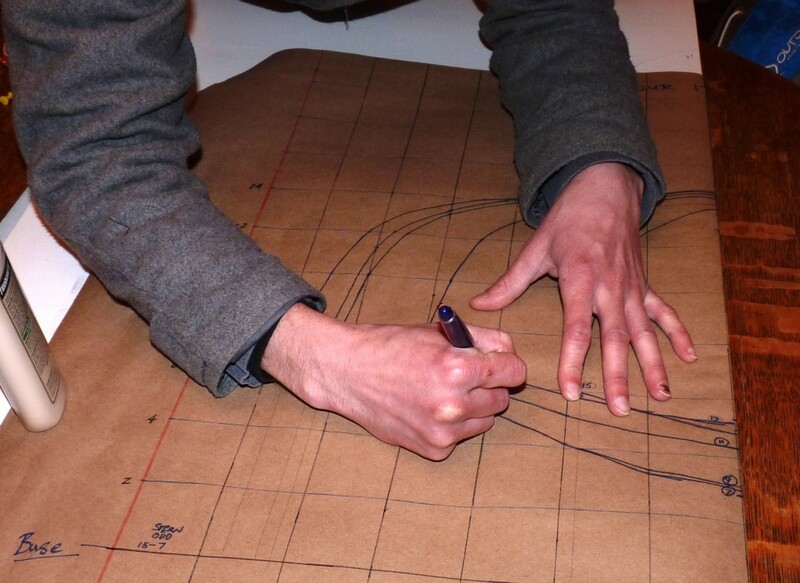 Ted Moores suggests using carbon paper to transfer the plans to the plywood for the forms. 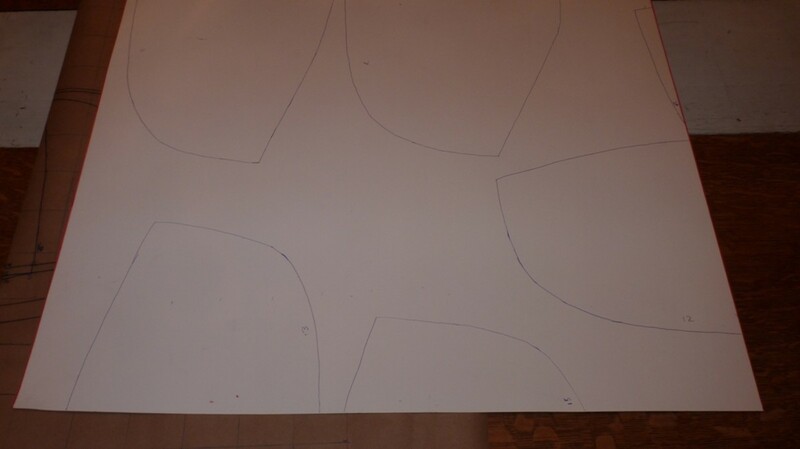 I chose to first transfer the ½ hull shapes onto poster board to make a template that could be traced on to the plywood. Waterlines were also transferred to the template. 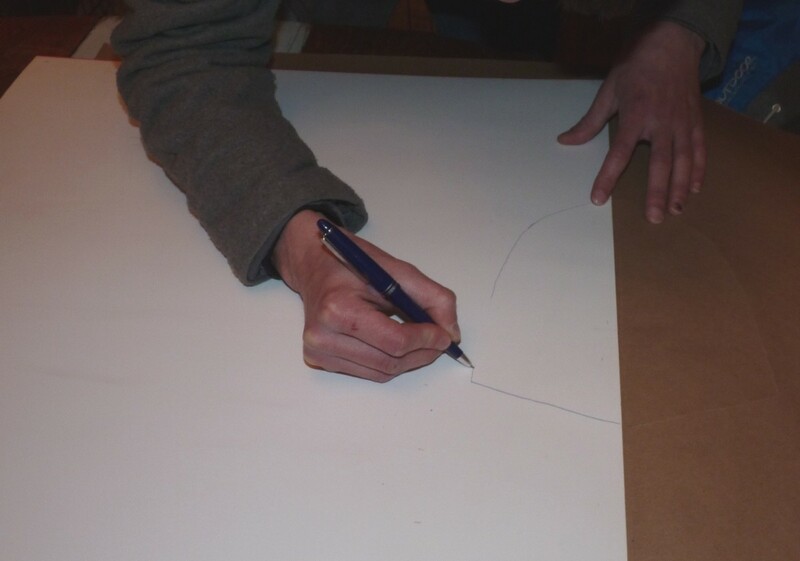 The poster board template will be lined up with a center line and reference waterline drawn on the plywood, traced, then flipped about the center line and traced for the opposite half. 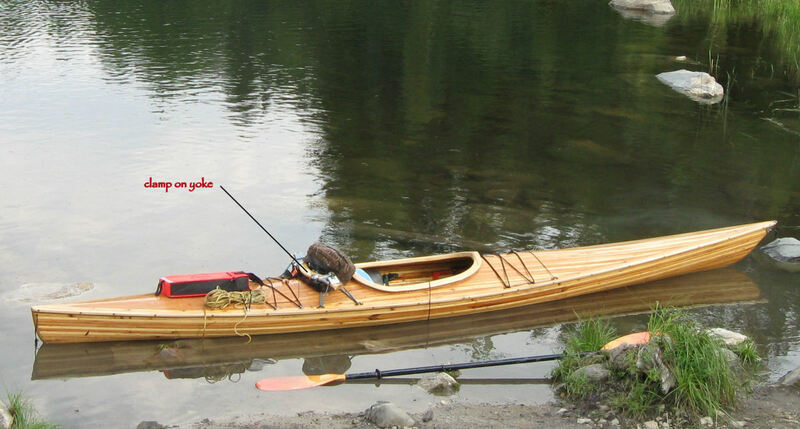 This is the step in the build process where your kayak actually starts to look like something. This can be a source of motivation. 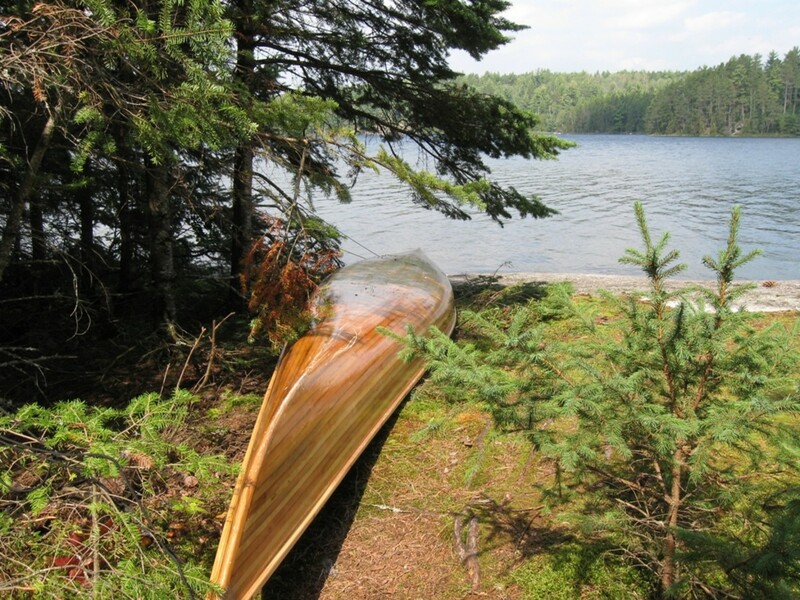 The stems on a wood strip kayak are ¼ strips of wood which are steamed, shaped and glued together with thickened epoxy. The sheer clamp is what is used to attach the deck to the bottom of the hull. Making forms that determine the shape of the hull and deck, then setting them up on a build table for construction of a Cedar Strip Kayak. It is more determination than talent. Sounds like quite a worthy project. I wish I had your talent.